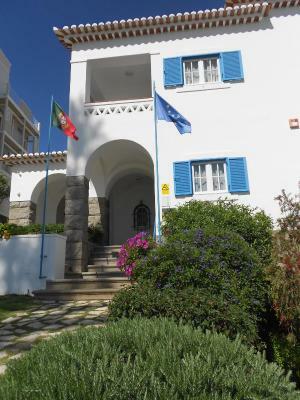 Lock in a great price for Vila Lido – rated 9.5 by recent guests! 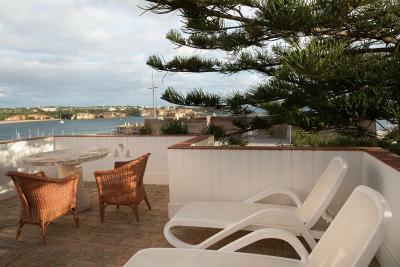 Location was woderful as the hotel was situated at the end of busy strip, so quieter and good access to beach and ferry harbor. Exceptional hospitality from Francisco and all the staff. From the very first moment we were made to feel welcome. 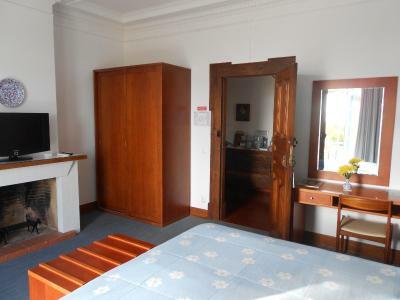 Very nice room in an excellent location. 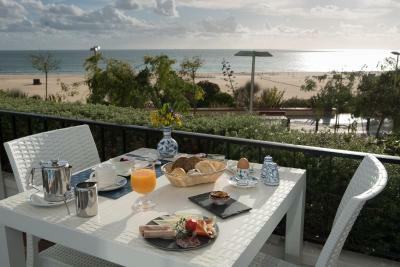 Wonderful breakfast on the terrace overlooking the beach. It is a 74 years old villa just at the heart of Praia da Rocha. 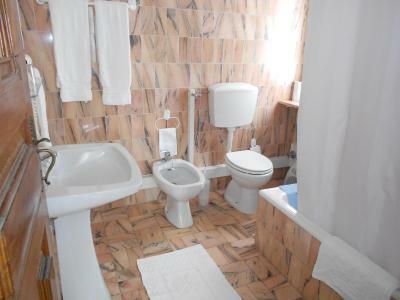 Very clean, calm and comfortable. The owner Francisco is a real gentleman. He is very helpful. What a lovely property! Beautiful building inside and out with an interesting history. Quite different from most of the large hotels nearby. 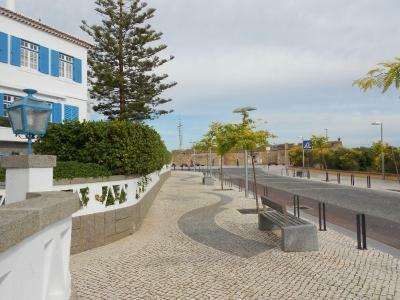 Steps from the beach and restaurants/shops. Francisco was cheerful and very welcoming. 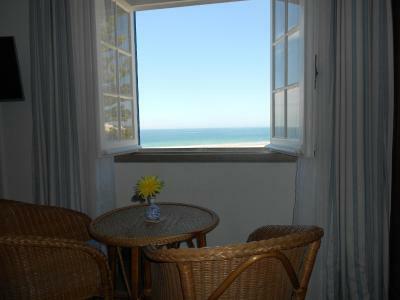 We were able to get a room with a balcony which was so nice in the evenings and in the morning. Room was clean and large -- not super fancy but it suited our needs fine. Great value. This is a gem in the middle of a busy beachfront. 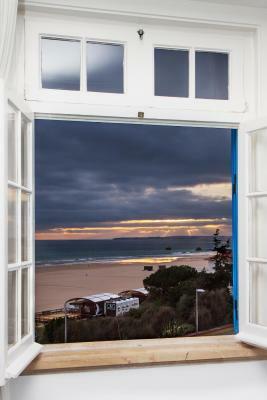 You feel you are outside all the tourism in your own home with a beautiful view and perfect location W stayed here because it looked so charming and was even more than that. Breakfast on the terrace overlooking the beach every morning. An easy walk down to the beach for dinner at one of many restaurants. 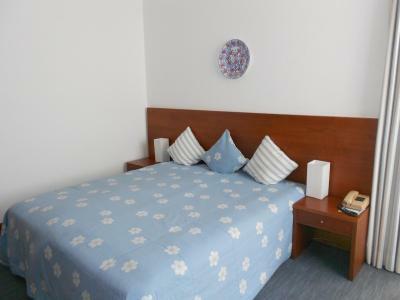 Comfortable beds and good size room with terrace (13). 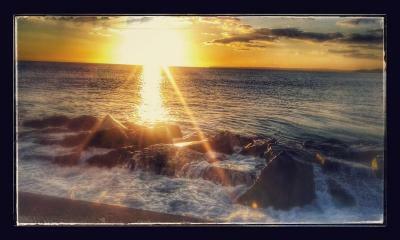 Very beautiful location. Vintage building nicely maintained and decorated. The help couldn’t have been nicer. Many good restaurants in walking distance. Beach just across the street. 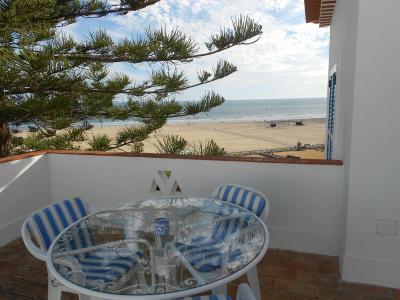 Great location with ocean view next to the beach and within walking distance to shops and restaurants. 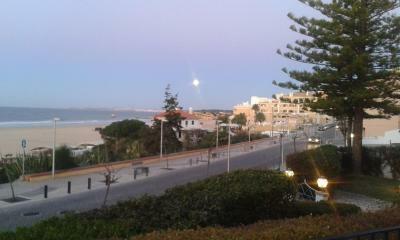 The beach is beautiful and the view from the vila is amazing. 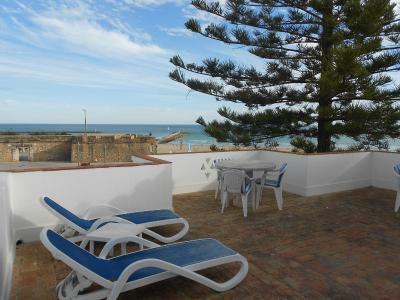 We had a fab room with private terrace, great for a bottle of wine and nibbles while watching the sun go down. 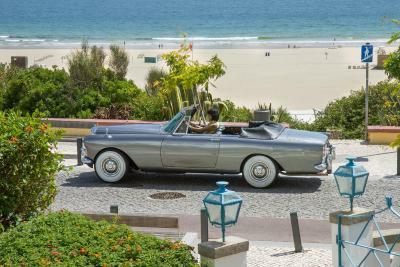 They do have a couple of parking spaces round the back, and they are worth paying for. Great location and the guys there could not have been more helpful. Huge breakfast, the room was available early. really loved it. 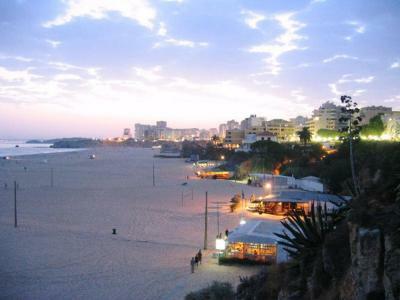 Short walk to bars and restaurants and the beach is just across the road. Wonderful place just like all the other reviews indicate. So happy we chose this over the nearby high-end hotel. So close to beach, clean and comfy. Wonderful wonderful management. Very accomodating for us as we were travelling with a newborn and toddler. Only regret is that we didn't stay longer. 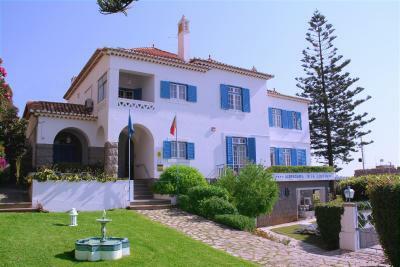 Vila Lido offers rooms surrounded by a garden in the touristic Praia da Rocha Beach, next to Santa Catarina Fortress. 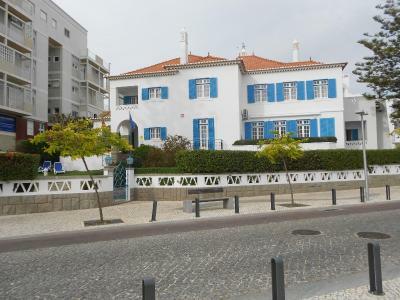 It overlooks the Atlantic Ocean, the marina and the beach. 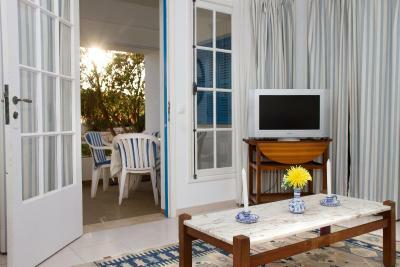 It offers rooms with free WiFi access and a LCD TV. 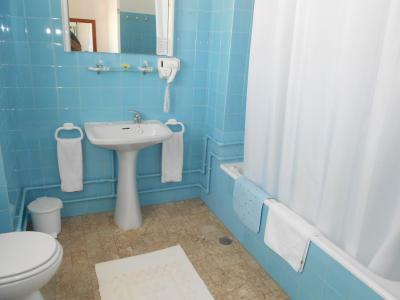 Each private bathroom comes with free toiletries and a hairdryer. 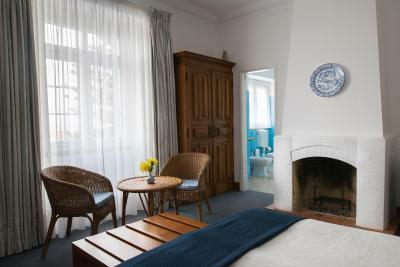 Vila Lido’s dining room and lounge include ancient hand-painted tiles, carved chestnut ceilings and a fireplace. There is an outdoor dining space, and plenty of dining opportunities within walking distance. 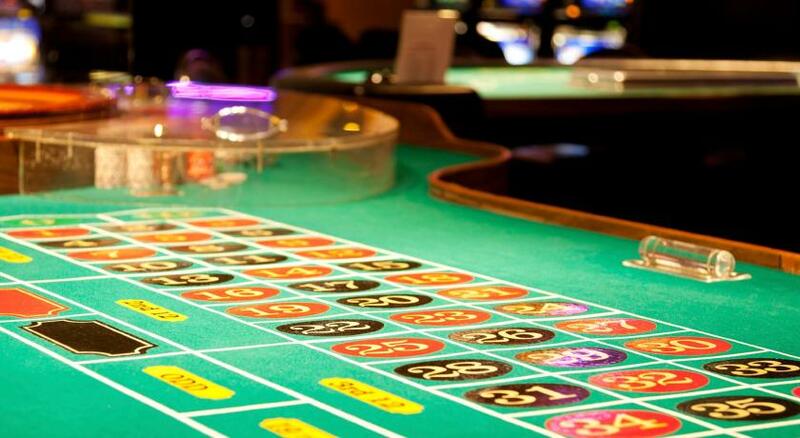 A few steps away, guests will find a casino, restaurants, bars and shops. 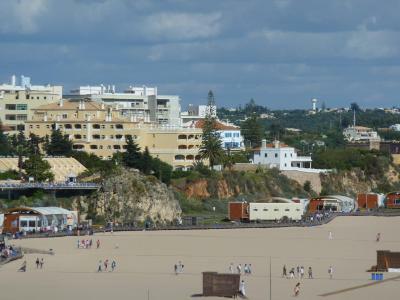 Praia da Rocha Beach has a variety of water sports activities, as well as pedal boats. A car rental service is available upon request, as well as an airport shuttle at an additional charge. 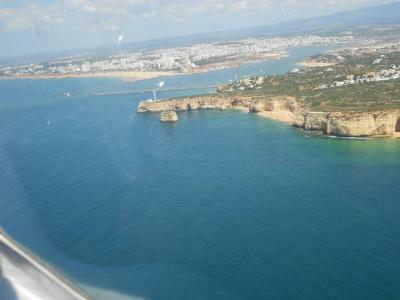 Faro International Airport is 55 minutes’ driving. 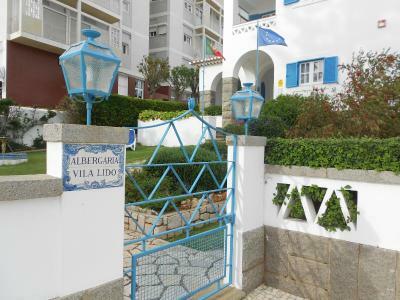 The quaint Alvor village is around a 10-minute drive from Vila Lido. 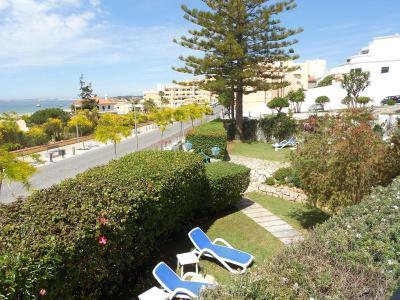 뀐 Located in the top-rated area in Portimão, this property has an excellent location score of 9.8! 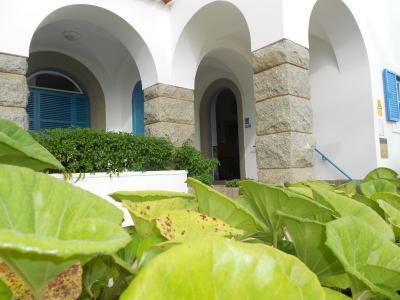 When would you like to stay at Vila Lido? 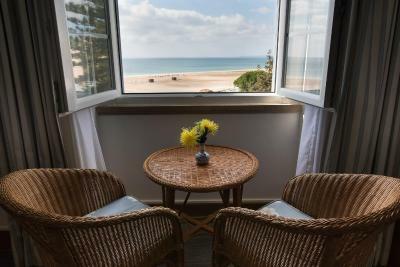 This room has a balcony with a unique view towards the sea. 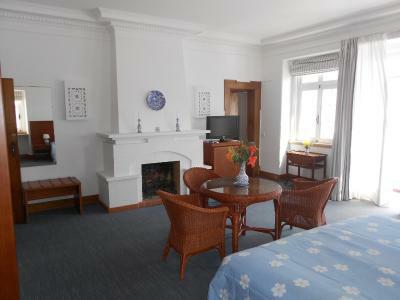 The room also includes a LCD TV and has free WiFi. 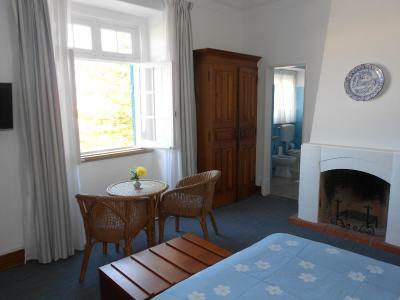 This room has a private bathroom, LCD TV and free WiFi. 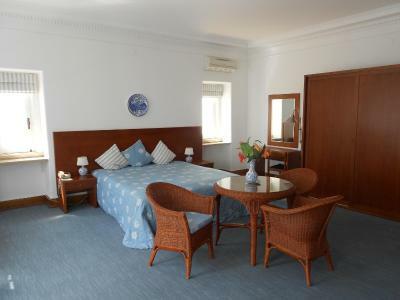 This large double room is made up of a bedroom and a living area. 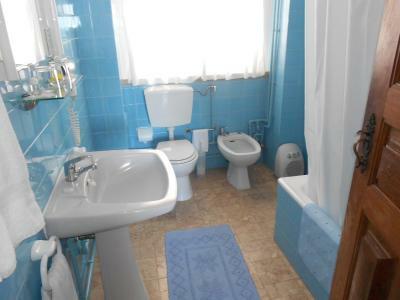 It includes a flat-screen TV and free WiFi access. This single room has a mini-bar, view and air conditioning. 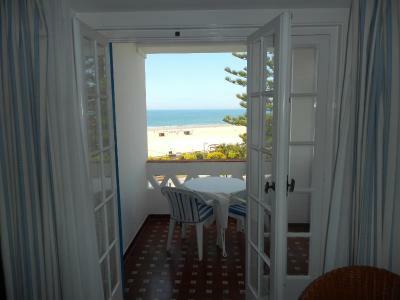 It has a balcony with sea views. This suite has a mini-bar and air conditioning. This suite has garden access. This suite features a mini-bar and air conditioning. This suite has garden access. 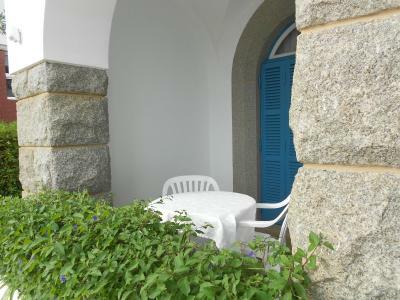 Featuring a spacious terrace with side views over the sea, this room has air conditioning and a flat-screen TV. 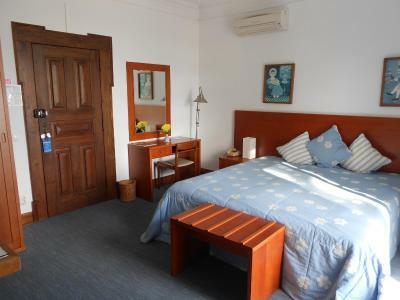 It has 1 double bed or 2 single beds. 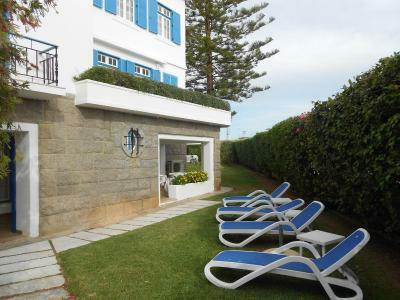 House Rules Vila Lido takes special requests – add in the next step! Vila Lido accepts these cards and reserves the right to temporarily hold an amount prior to arrival. Please note that children can only be accommodated in the bottom floor suites. 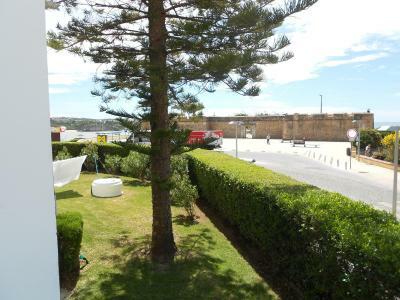 Please note that Albergaria Vila Lido is next to Santa Catarina Fort. 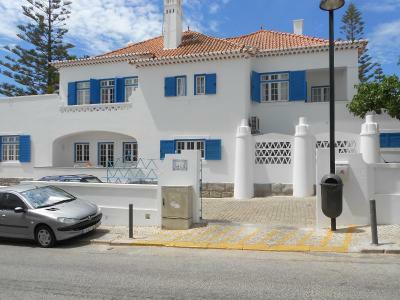 Please note the property will charge a late check in fee of 30 EUR between 19 pm until 23 pm. The sea views from the room and bath room . and the private balcony . 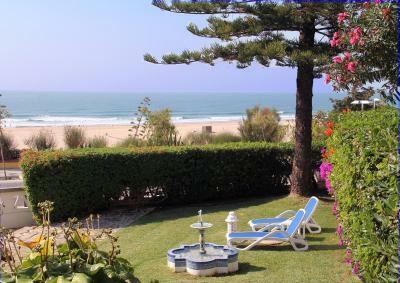 The beach is in front of the property . 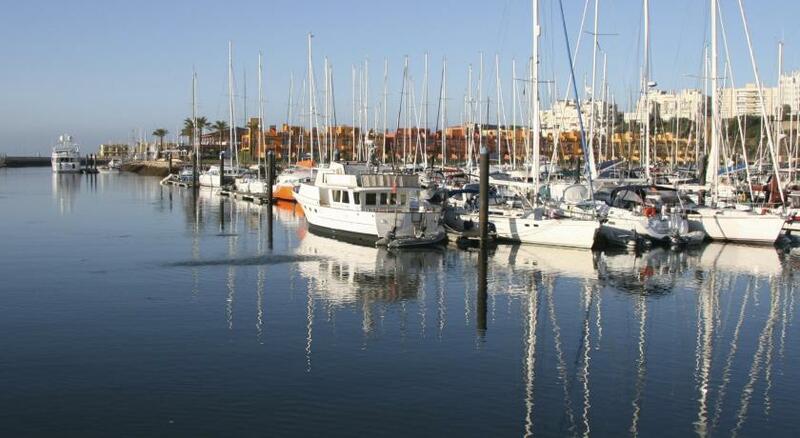 Francisco , the manager is very knowledgeable and helpful in providing advise of how to spen your day . The location was fantastic and the room was big and bright. The staff was so lovely and helpful too. Nothing. I think everything was perfect. Nothing Everything and everyone were fantastic. 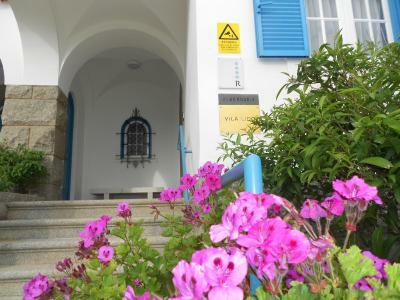 Lovely vintage building with a superb location and the nicest staff we have ever experienced. 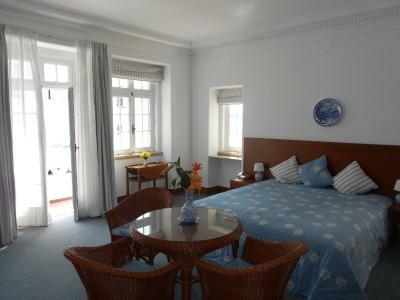 Room had beautiful views,beds comfortable,linen crisp and clean,freshly prepared breakfast and all with a smile. Outstanding Thanks go to Fransisco and all his lovely staff . 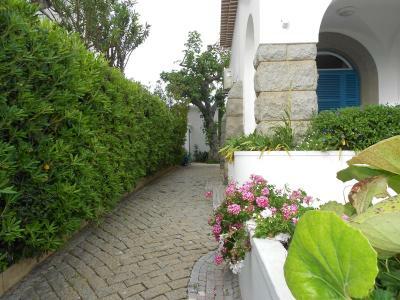 Well maintained grounds with outstanding views just a five minute walk from all the amenities of bustling PdeR. 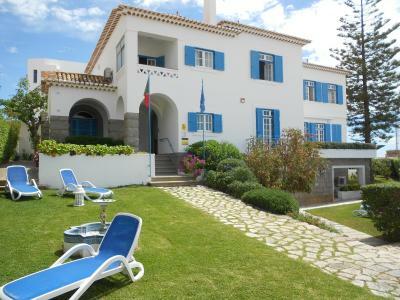 beautiful old villa, well kept and with that typical Portugese flair of class and neatness. superfriendly welcome by the owner. easy parking in adjacent street. 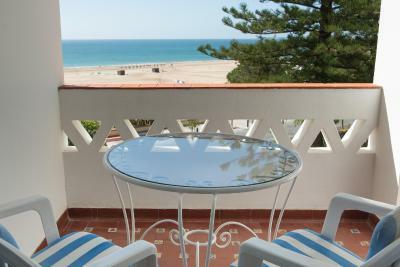 beachfront views and good restaurant (W) nearby. 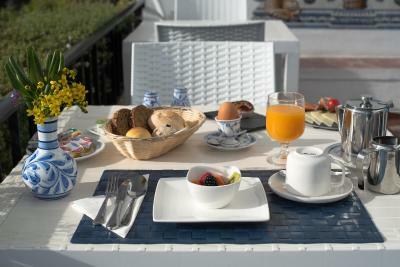 breakfast includes fresh orangejuice, fresh fruit,eggs and pasteis de nata in addition to the usual continental choices. The location and view from our room were excellent. The breakfast was also very good and the staff were friendly and helpful. Not a thing. Absolutely wonderful. breakfast was lovely they do provide extra if you are still a little hungry, the views are amazing and the staff do everything to help, francisco is a wonderful host and would highly recommend this place. From the staff at the hotel, the room, the breakfast and the view, we could not have had better. 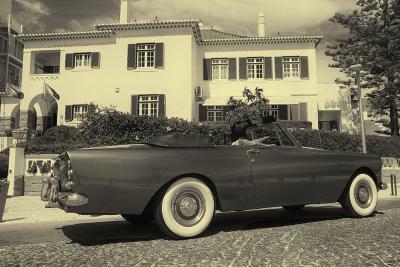 Perfect stay in old style luxury. Quieter end of the beach which was easily accessible to great restaurants on the beach.